This ticket allows general access to Boundary Brighton 2019 on Saturday, 28th September. 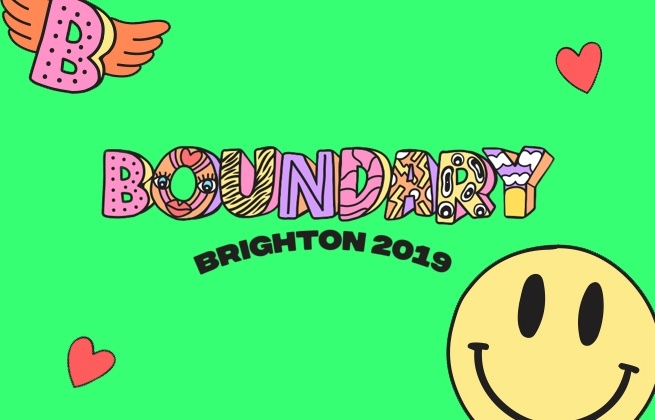 This ticket allows general access to Boundary Brighton 2019 on Saturday, 28th September. Please note valid student ID will be required to gain entry. Situated in central Brighton and with views of the iconic seafront, this magnificent Grade II Listed building overlooks the West Pier and offers free Wi-Fi. 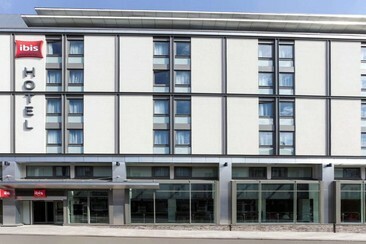 The rail station is a 15-minute walk from Kings Hotel. A wide-ranging breakfast menu is available at Kings Hotel, including pancakes with fresh berries and maple syrup, grilled or poached fish, and a full English breakfast. The K Bar has a wide selection of drinks available along with a limited snack menu. All rooms at The Kings Hotel are en-suite and many have scenic sea views. 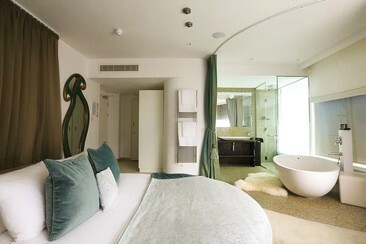 Each room features a flat-screen TV with satellite channels, hairdryer and hospitality tray. 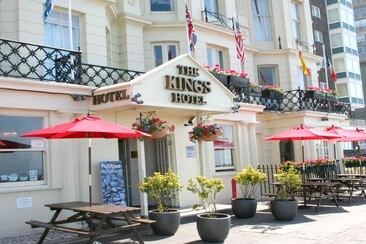 Situated just metres from the beach, the Kings Hotel is a mile from Brighton Pier. Local attractions including the Brighton Centre, Brighton Pier, Royal Pavilion and the Sealife Centre can all be reached in 20 minutes’ walk. Situated in the heart of the vibrant city of Brighton, by the railway station, ibis Brighton City Centre boasts modern, soundproofed rooms, a bar, and a restaurant. Each room at ibis Brighton features an en suite bathroom, free Wi-Fi, and a flat-screen TV. A hearty “as-much-as-you-can-eat” hot and continental buffet breakfast is served daily and the restaurant offers a varied meal and drinks menu. A wide range of bars, restaurants and shops can be found directly outside of the hotel and within a 5-minute walk. Brighton’s sandy beach is half a mile from the hotel and both the Sea Life Brighton Centre and the famous Brighton Pier are located 15 minutes’ walk away. This property is 12 minutes walk from the beach. In the vibrant North Laine area of Brighton, the sumptuous Myhotel fuses cutting-edge technology with unique design. The boutique hotel has an authentic Indian restaurant and intimate cocktail bar. With bespoke artwork and colourful interiors, the designer bedrooms at Myhotel Brighton have flat-screen TVs, free Wi-Fi and stylish sound systems. At the hotels cocktail bar, Merkaba, signature cocktails are prepared with fresh fruits and natural ingredients. The award-winning Chilli Pickle Restaurant serves a creative Indian menu using quality local produce. Conveniently located Myhotel Brighton is a 10-minute walk from Brighton Pier and the lively seafront and is next to the Royal Pavilion and Brighton Dome. On-site parking is available, and The Lanes is just 500 metres away.